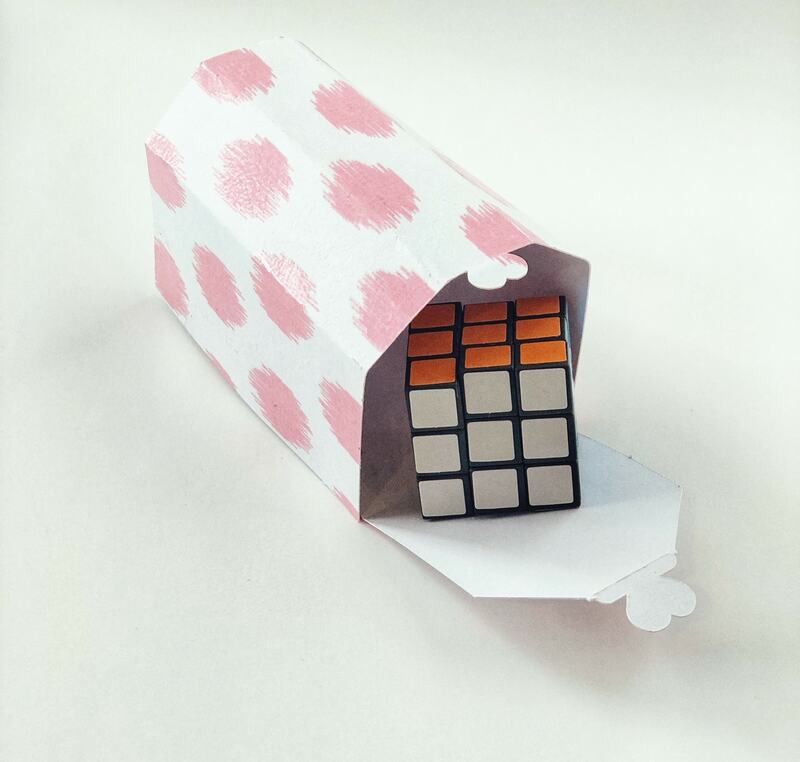 Rubiks Cubes for Class Valentines – No Candy Alternative! One of my daughters loves rubiks cubes. 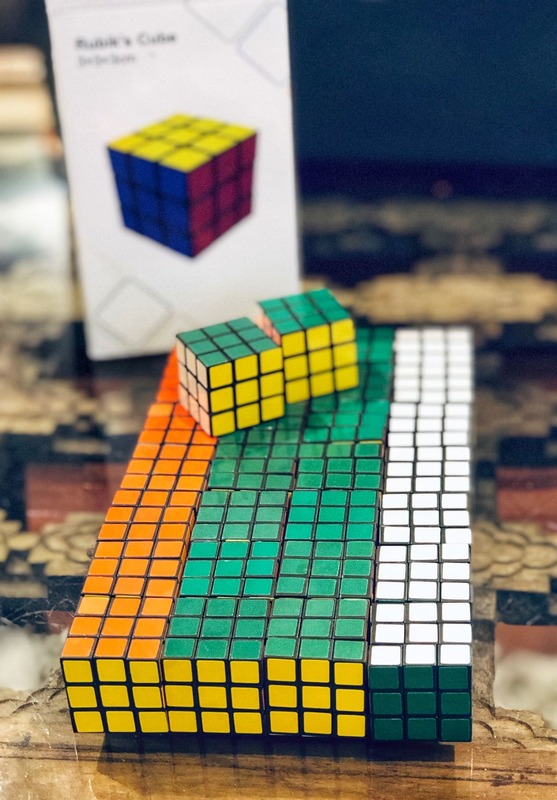 She solves them in seconds now, and has started collecting them, so I was not surprised when she asked me to come up with a way to give out rubiks cubes as her class valentines this year. 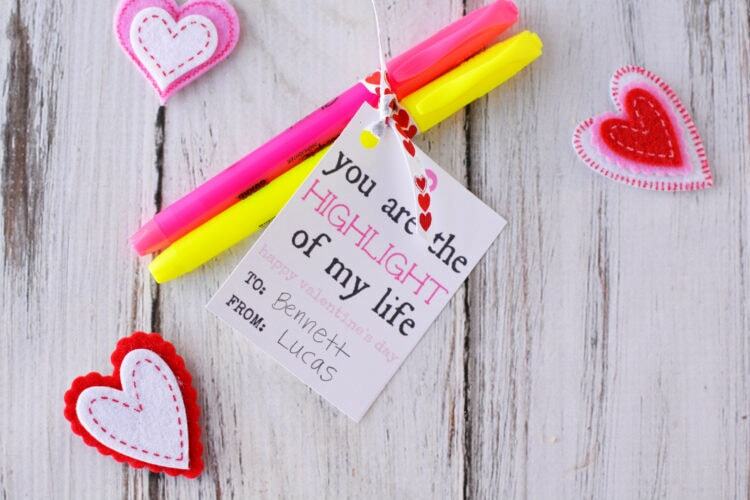 These were not the most affordable valentines items we have given out for their class parties (we have a list of low cost ideas below), but it was more affordable then I thought it would be. I was able to make 22 for her class, for around $16, and I already had the paper on hand to cut out the mail boxes to put them in (but am guessing you could do it for around $20 if you had to buy paper). If you are buying for a class of 18 or fewer it would be more affordable, as you could buy a smaller quantity of cubes. This particular daughter is in 5th grade, so to be honest I am not sure how many more years I have left where she will want to make valentines any longer for her class, so we went for it. She loved how they turned out, and I think they will be a real hit with the class, so wanted to share the idea here with you. You could really put any toy in the paper mailboxes that you want to, so you could do it on a much stricter budget then we did. Cricut Machine to cut the boxes (ideally), or you can make them yourself by searching for a valentines day box printable you can print, cut by hand and assemble. We found this one here, you can use if you do not have a Cricut or similar machine. If you have a Cricut, I used this pattern here to cut out the boxes shown above. We did not use the little flag detail (just to keep it simpler, but you can add or delete based on your preference). Once they were cut, we folded along the lines, and then used a glue stick where the box attaches to itself. You could use tape too, but we found glue stick to work best for us. 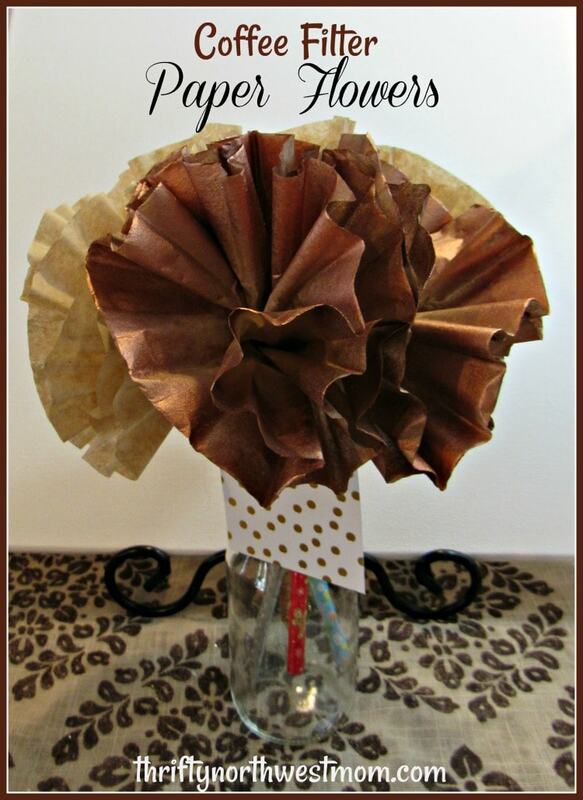 If you do not have a Cricut you can a pattern like this one, and cut it out, and then you would fold and glue or tape it together. We also have these free printables for Valentines boxes or purses, that you could make smaller to use. 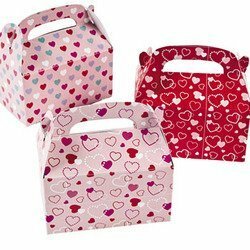 If you prefer to not hassle with small boxes, you can buy treat boxes like these too. 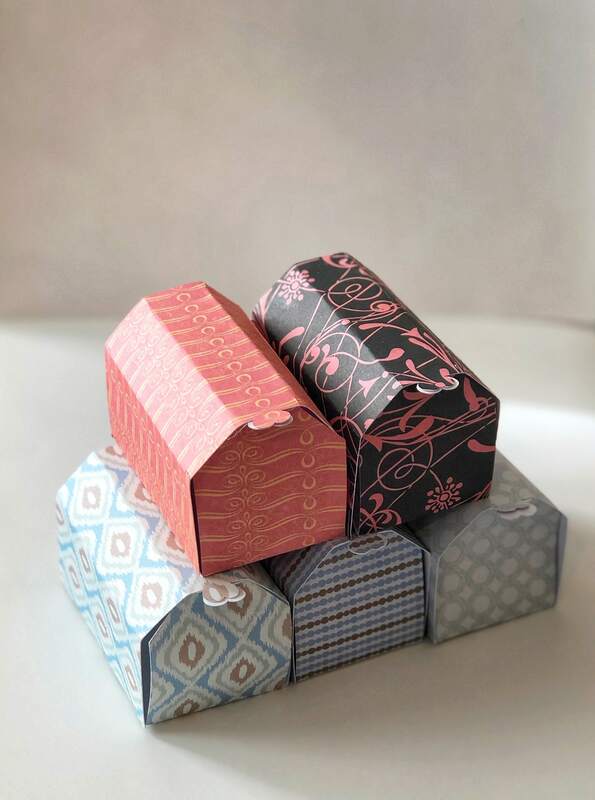 Once you have your boxes folded, and glued, let them sit overnight to make sure the glue is set well. Touch up any spots that may need a little extra glue with some white glue. 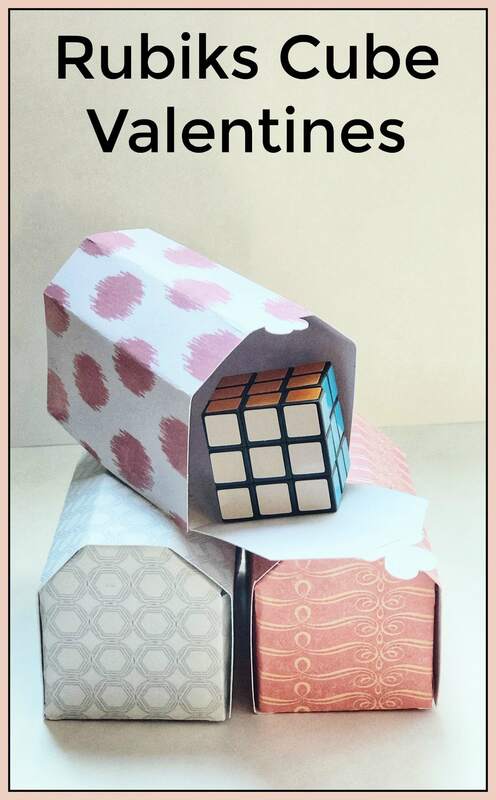 Once your boxes are all set, simply add the mini Rubiks cube inside. You can either add a note inside, or we have a small hole punch we are attaching a note to the outside with some ribbon. You can also just write the recipients name right on the mailbox if you prefer. Then they are ready to hand out in class on Valentines day, and listen to the kids excitement as they get a new Rubiks cube. We gave a few out in our community early, and I have not come across a kiddo who has not loved it yet! 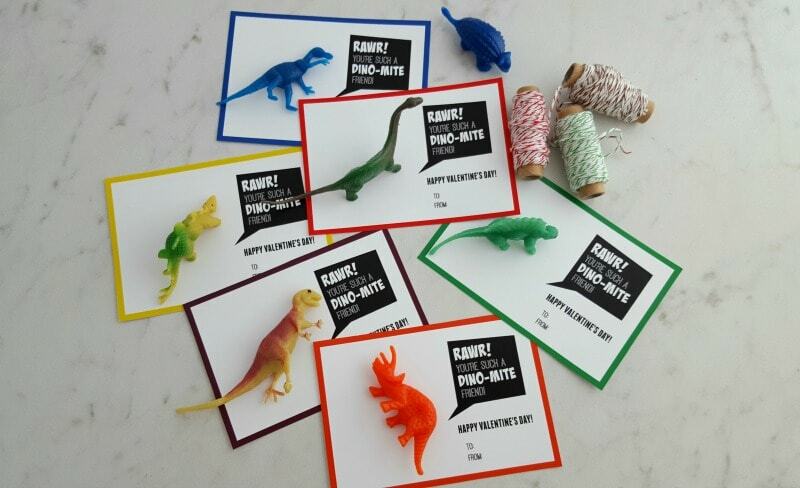 Dinosaur Valentines with Free Printable!